Clippard provides solutions to your most demanding speed control applications. For precise speed and pressure control of actuators, we offer a very large variety of solutions for a broad array of requirements. 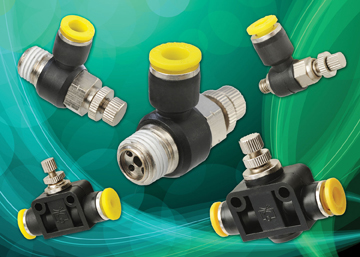 Our cost effective and labor saving Push-Quick Elbow Flow Controls are ideal for many durometer and material tubing types. The PQ-C Elbow Controls are ideal for low cost and lightweight applications when mounting directly to an NPT port on a cylinder or valve is required. 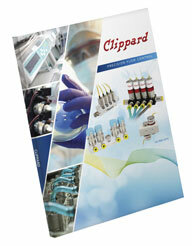 Available in many different models, Clippard has the right product at the right price.